I use to tell sellers you should move out of your house before we put it on the market. Well, not really but it seemed like I was telling them to with removing all the stuff out of the house. Sometimes when sellers have so much stuff, it's hard for the agent and any buyers to look beyond the "stuff." And that even includes me! This home in Goose Creek, SC wasn't so bad, but it doesn't bring me to a point about what is better, a room without a defined function or a vacant one? When it comes to preparing a home to go on the market, it's important to explain to sellers that there is a Good, Better and Best approach. Often the sellers decision will depend on motivation, time, ability and money on which approach they choose. This bedroom was used as a catch all room and 2nd office in this 3 bedroom house that already has an office downstairs. What a buyer needs to SEE in this home is a 3rd bedroom. The house must allow a buyer to envision him/herself and their family in the space. Most people are visual learners which means they are also mostly visual buyers. The house must look and feel a certain way-so that they can see themselves in it. My first thought was, make it empty! The seller was not going to keep the office furniture anyway so it was a good idea to go ahead and sell it or give it away. So away goes the furniture, but then this room was pretty blah. This blah picture is not exactly going to attract the internet buyer. I wouldn't really call this "Good" but probably "Okay." My stager, Melissa Marro, brought in some furniture and Viola! This photo makes this room shine, defines the room, and shows off its size and scale. As a empty room, its hard for buyer to know what function this room would serve but this photo really showcases this room. Effective staging can turn Good into Best. Knowing this seller wanted top dollar for their home, we went over the top in each room so that the photos would sell the house. More to come on other rooms in this house. This house sold to an internet buyer that wrote a contract without stepping into this home for 99.5% of list price at 10 days on the market! Contact Michele Reneau, Top Real Estate Agent, North Charleston, SC Relocation Expert, CRS, GRI, ABR. 843-814-6680. Michele Reneau is a Certified Staging Professional Instructor and teaches agents how to use staging to maximize their real estate business and Help Sellers Protect their Equity using Home Staging while earning the CSP Elite designation. She is also available for speaking engagements on: How to use social networking to improve your real estate business, Why Home Staging is a Must in Today's Market, How to calculate market statistics and use them to understand and explain to sellers where the market is going using data, Discussing statistics with sellers to help them price their property to sell. Michele is a Certified Residential Specialist with a top real estate team in Charleston, SC. 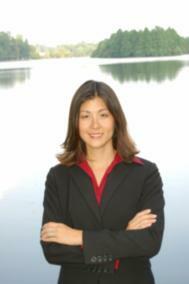 Since 2004, Michele Reneau has personally sold 174 homes while the average agent in the market sells 6 homes a year. Featured on HGTV's House Hunters and Real Estate Executive Magazine. RESA 2009 Staging Realtor of the Year Nominee. The Charleston Relocation Experts Team specializes in military relocation, first time homebuyers and creating marketing exposure to sell your home in the Charleston SC Real Estate market. Michele can also be contacted by email at michele@CharlestonRelocationExperts.com. You're on target. Each room or space should have a defined purpose that makes sense with the floorplan and lifestyle. A vacant room is hard to visualize and I love the idea of staging. Really makes a room more than just four walls. Michele, I agree. The 'Best' way to show this room (as a bedroom) was the only way to show this room. Great Job. Vickie-Yes! I think it's also important for the stager/realtor to consider the demographic on who is most likely to purchase to determine the best use of space. Janelle-Hats off to my stager. The staged room looks amazingly best. All the best in getting it sold. It's best to have the room staged. It's better empty than cluttered. There is no good. It's not good if it's too cluttered to see the room. Bob & Carolin-It sold in 10 days! Roger-I agree. A cluttered room doesn't make for an inviting photo and a vacant room doesn't help a buyer see a function. Sometimes we have to allow the seller to choose, but they must understand that their choice will impact the marketing of the home. The beautiful Staging that was done really made an impact. I took a lot longer look at the Staged bedroom then the others. It is much more appealing. Great job! Michele: These are all very good ideas about staging and seeing the home thru the buyers eyes. Linda-Buyers will do exactly the same too! Evelyn-Now if we can get all sellers to do the same and consider how a buyer will view their home. It is amazing what a little furniture re-arranging can do. The room looks so much better with the furniture than empty. I have a house right now that is vacant and empty and before they moved I begged them to please leave me alittle something in the house for just that reason. You are so correct! When an agent partners with a good stager everyone wins - the client, agnet adn stager. Melissa and her team always do amazing work.